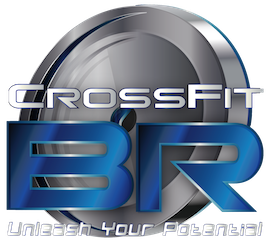 CrossFit BR began as a very small facility with a passion for fitness and helping others succeed. We have now grown into a 5000 square foot facility with plenty of floor space, rig space with squat racks, barbells, bumper plates, lifting platforms, medicine balls, dumbbells, kettlebells, plyometric boxes, etc.! A huge MacroAir fan keeps our open-air warehouse cool while our front lobby includes two shower rooms, two bathrooms, and an air-conditioned pro-shop. Born and raised in Louisiana, I see fitness & movement as things I hope to be prioritized more in our community over time. My journey into fitness began in high school as an active student playing football, baseball, and running track. As a smaller athlete then (and still now), much of my time was spent in the weightroom. Little did I know lessons learned then would help me today. After college, I spent a few years leading a sedentary life behind the desk as many of you can relate. During this time I found CrossFit through a college friend and it completely changed my life for the better. 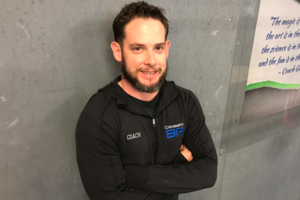 While getting back into fitness myself I began to see the old me and knew that I wanted to help other people regain their confidence and their youth. A couple of years later, CrossFit BR was born. From starting CrossFit in 2010 I have watched the affiliates, coaches, & sport grow and mature into something wonderful. Being thirsty for knowledge and improvement in movement, I spend much of my time researching all methods to continue keeping us progressing. Louisiana has been my home for most of my life even though I was born in Albany, Georgia. Growing up I was very active as I have played just about every sport known to man. At Dutchtown High, I devoted most of my free time to soccer, tennis and swim. While looking for a better way to train all three sports more efficiently, one of my older brothers introduced me to his old school garage gym where he did this thing called CrossFit. I began doing CrossFit but didn’t take it seriously until starting college. 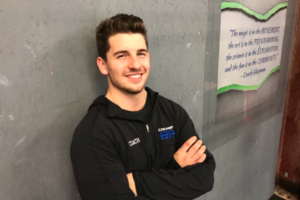 I knew that I wanted to better prepare myself and be able to coach others so I quickly signed up to take the CrossFit Level 1 Course and haven’t looked back. 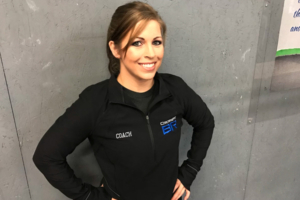 Growing up, my fitness background was in competitive gymnastics and powerlifting. Raised in Gonzales, LA I went on to earn a bachelor’s degree in Business Management. After discovering CrossFit in February 2012 I have been in love ever since. What I love about CrossFit is that every day is different and challenging. I am always motivated by those who are willing to work hard and challenge themselves mentally and physically. What I love about being a coach is helping those people reach their goals. I always say, “When starting CrossFit you want to treat it like you are building a house. You should put all your focus on building a solid foundation.” Also, I believe that no matter your level of athleticism, you always need to work on the basics.